It has long since been suspected that Apple would come through with its very own brand of smartwatch, and this year, there’s a genuine feeling that the company will finally bite the bullet and introduce the elusive product. Given Google’s announcement of Android Wear at the beginning of the year, followed up at last month’s I/O conference with more details and the announcement of Samsung’s Gear Live, it would appear crucial that Apple doesn’t allow its rivals to much leeway, and with the Cupertino’s first major wearable set for release later on in the year, the company has just secured the services of TAG Heuer’s Sales Director. 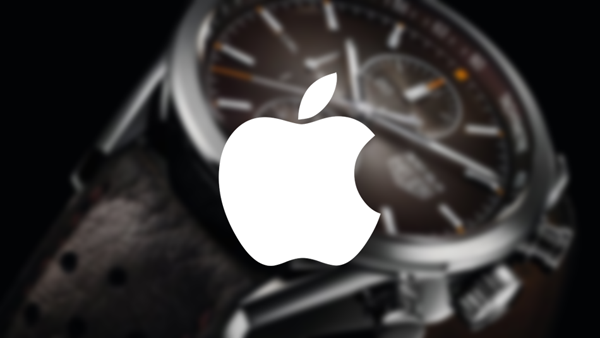 Jean-Claude Biver, head of Jewelry and Watches at Tag Heuer’s parent company LVMH, noted earlier on in the year that Apple had been on the prowl, trying to poach his staff, and as of last week, successfully landed the Tag Heuer head of sales. Biver noted that he was “happy” for the staff member, and did not feel betrayed because he didn’t leave to join a direct competitor. Apple, meanwhile, looks to be creating quite a solid team from which to launch the so-called “iWatch,” and having already hired several big names from brands like YSL and Burberry, it’s clear that the company is very serious about this new product category. As per the rumor mill, we’re expecting Apple to roll out a series of devices, and apparently, the watch face will be of the circular variety, akin to the Moto 360. With Nike having effectively wrapped up its FuelBand endeavors, Apple’s close ally is said to be working on at least one heavily fitness-related device, which will likely be heavily centered around the new HealthKit infrastructure. Unfortunately, we haven’t seen any evidence of the iWatch, but with appointments such as this, it seems only a matter of time before such a device manifests itself. It’s unlikely that we’ll be getting an announcement any time soon, though, with most convinced that the iWatch won’t arrive until the holiday season, but whatever the case, we’ll keep you updated on any interesting information related to this enigmatic product. Are you looking forward to the iWatch’s release?